4. HOW DO WE FIGURE OUT HOW MUCH TO SHARE? There are so many different kinds of sharing that it makes me wonder why our language lumps them all together. We share time, energy, space, information, stories, and feelings. We also share food, money, tools, cars, and toys. We share with immediate family, extended family, friends, neighbors, colleagues, and strangers. Sometimes we share our personal possessions via loans, gifts, or charity. Other times, we decide that certain things belong to all of us (or at least some of us), and we share them in communistic ways. Alison and I tell our son Zeke that everything in the family room belongs to our family collectively. Zeke can keep his special tools in his bedroom and moving box boat; but he can’t hide any books, blocks, or train tracks in his secret compartments, because they belong to everyone. Before his brother Ozzie started crawling, Zeke had full control of almost all the toys. He shared them on his terms. He loaned them to Ozzie with the understanding that he would get them back; and, if he was feeling particularly generous, he offered certain toys to Ozzie as gifts. When Ozzie started asserting his right to use the communal toys, Zeke realized that he didn’t own as much as he had previously thought. He had been taxed significantly, and he wondered why he should share his remaining prized possessions. If I wanted to scare Zeke, I could have told him about Thomas Hobbes. He paints a picture of brutish, short, and miserable lives for those who don’t act altruistically. If Zeke is perceived as selfish, then Ozzie and others are less likely to embrace him; and he might be left to fend for himself in a competitive, harsh world. I don’t want to motivate Zeke through fear, so I tell him that sharing his special tools will make him happy. In fact, sharing will make him happier than almost anything else. After all, that’s what John Stuart Mill suggests when he describes the particularly wonderful kind of pleasure that we experience when we act ethically. Sometimes that line of thinking resonates with Zeke, and sometimes it doesn’t. Zeke recognizes that it’s sometimes quite hard to share, and sometimes it even makes him sad. So, I turn to Plato and his claim that if we exercise our reason and act justly, we become more perfect human beings. I tell Zeke that he becomes a better boy when he shares. He becomes Super Zeke when he acts generously. Zeke loves that idea, especially because he has a super hero costume with the letter Z on it. There may be certain problems with Plato’s approach, just as there may be limitations to every other philosophical argument for altruism. Yet, ultimately, I don’t think it matters. There are plenty of reasons to embrace the value of sharing, even if it’s difficult to lump all of those reasons together into one philosophical framework. 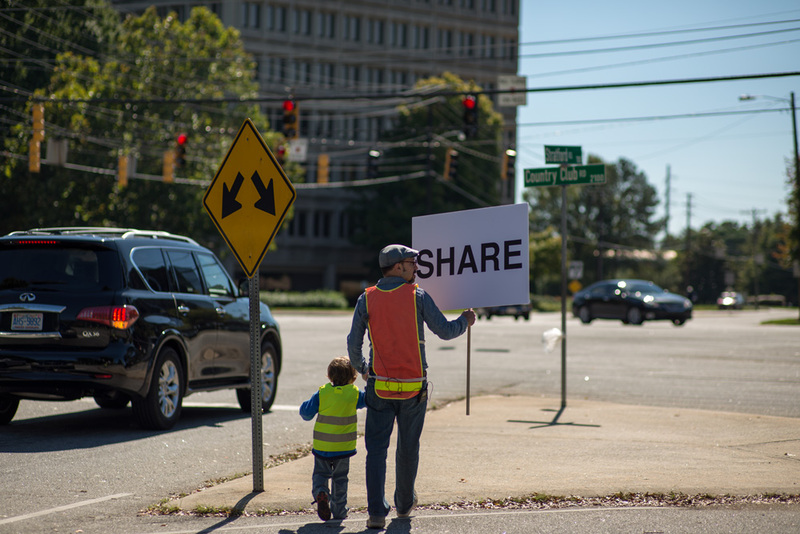 Christian Miller believes that we probably haven’t embraced the value of sharing – or charity – enough. He points out that many of the philosophical models that so many of us believe in ask more of us than we seem to realize. The Bible commands us to love thy neighbor as yourself, Kant tells us to treat everyone as ends, and Utilitarianism mandates that we maximize happiness in the world. None of those ethical systems imply that we have the right to share or give charity only when we feel like it. In fact, at least according to Peter Singer’s vision of Utilitarianism, we may be required to give our money and food to those who are starving up until the point that we are in danger of starving ourselves. I feel chastened when I think about Peter Singer and my conversation with Christian Miller. I believe in the value of sharing, and I aspire to be a generous person. Yet, the ideal that Singer describes seems much too difficult to achieve. Should I feel guilty about enjoying certain material comforts? Should I feel bad that I hope that Alison, Zeke, and Ozzie will live easy and even luxurious lives? I was taught in my religious Jewish high school that we are acting selfishly if we don’t offer ten percent of our income to charity, but we are acting too selflessly if we give away more than twenty percent. These guidelines sometimes feel completely arbitrary, but I’ve tried to follow them, nonetheless. They remind me to share at least some of my possessions, and they alleviate some of the guilt that I feel when I notice how many people are suffering. Yet, I wonder if I’m blindly following convention. I contemplate sharing our 2800 square foot house with as many homeless people as possible. I consider giving away almost all of our possessions and living in a tent. The thoughts appeal to me momentarily, but then they pass. I continue living my comfortable life, and I pray that I share enough to be a good role model for Zeke.